Food biz couples in the Princeton area who live, love and work together in their restaurants and shops recently shared with me the highs and lows, the ins and outs of their personal and professional lives. In this December 2014 post, I featured an engaged couple just starting on this life journey (Lauren Sobogal and Frank Caponi) and seasoned veterans with a popular restaurant and a toddler (Rory and Aaron Philipson of Blue Bottle Cafe). Below, excerpted from my 1/16/15 “In the Kitchen” column in the Princeton Packet, is the final installment. This time the spotlight’s on two married couples: Jennifer & Rudie Smit of Olssen’s Fine Foods, the Palmer Square cheese shop, and Karen & Bo Child, who’s previous enterprise was the Lawrenceville Bakery. Rudie chose to be the correspondent for the Smits and Karen for the Childs. Q: What are the best, most rewarding aspects of working so closely together every day? Rudie: “Here are a few things that Jen and I brainstormed about working together in our store. For a correct understanding it should be noted that our staff and children are connected to that too as they all have to put up with all the “married-couple-with-kids” shenanigans. Our staff calls this the “Smit-swirl:” a state in the shop where our kids run around, Jen and I give contradictory instructions to the staff, new ideas are fired and mayhem abounds. Fortunately, this is usually limited to ten minutes, after which calm returns, the children find something to occupy themselves with, and Jen and I start working with our staff and our customers. Jen is the visionary in our working and home relationship and I typically execute. Whatever divides us, our passion for the store and what we sell really unites. Q.: What are some unavoidable conflicts and how do you handle the stress and how do you keep the romantic spark alive? “Between the paperwork and long hours, Jen and I sneak out for a nice quick lunch or make a delivery together. The busy nature of owning your own business still does not mean that you cannot have off-time together. We try to have a date night or a civilized lunch. We try our best to avoid talking about the shop and instead talk about the things that brought us together originally. “Early in owning the shop, a smart person told us to divide responsibilities and while there is often overlap, we have found that we always go back to “hold on, that is yours” – we might talk about a new cheese (which is my main responsibility) but I lead the introduction of the cheese. Next up are Karen and Bo Child. Karen, a pastry chef, and Bo, a musician, are currently planning their next endeavor, which will combine both of their specialties. Here’s Karen’s report from the trenches. “It’s tough being in business together, I won’t kid you. I think the most important thing that needs to be done is to establish who does what in the business and actually have some written job descriptions down so you and your spouse can be accountable for certain duties. However, even with these descriptions, there are going to be snafus where either one may not actually do what’s part of the job description – which ultimately means that one person might have to carry the ball and wear two hats at any given time. I think this happens routinely in any corporate environment as well, so it’s nothing new. The goal is to avoid the pitfalls and see them before they actually become a problem. “The following are some examples of what you can expect as a couple working in the food industry. As much as you want to hire employees that you can trust, we learned the hard way that it was best to have one of us at the shop during open retail hours. This made having time off together difficult to achieve. “And then there were the holidays. With both of us in the business and holidays being big retail days for us, we couldn’t spend time with our respective extended families like we would have liked. And snow days. You look outside and see a ton of snow and a veritable winter wonderland and you just want to stay in your pajamas, by the fire. But no, someone has to go to the shop – regardless of whether or not you’re going to open for business during a winter state-of-emergency. If the decision was made to NOT open, then someone STILL has to go in and, in the case of owning a bakery, attend to raw product that’s been sitting in the proofer. And try as we might, sometimes we each broke the promise to not bring shop business home with us. Sometimes shop-related arguments carried over into our home life. We vowed never to let that happen again. My thanks to all these folks – Jennifer & Rudie, Karen & Bo, Rory & Aaron, and Lauren and Frank for sharing. 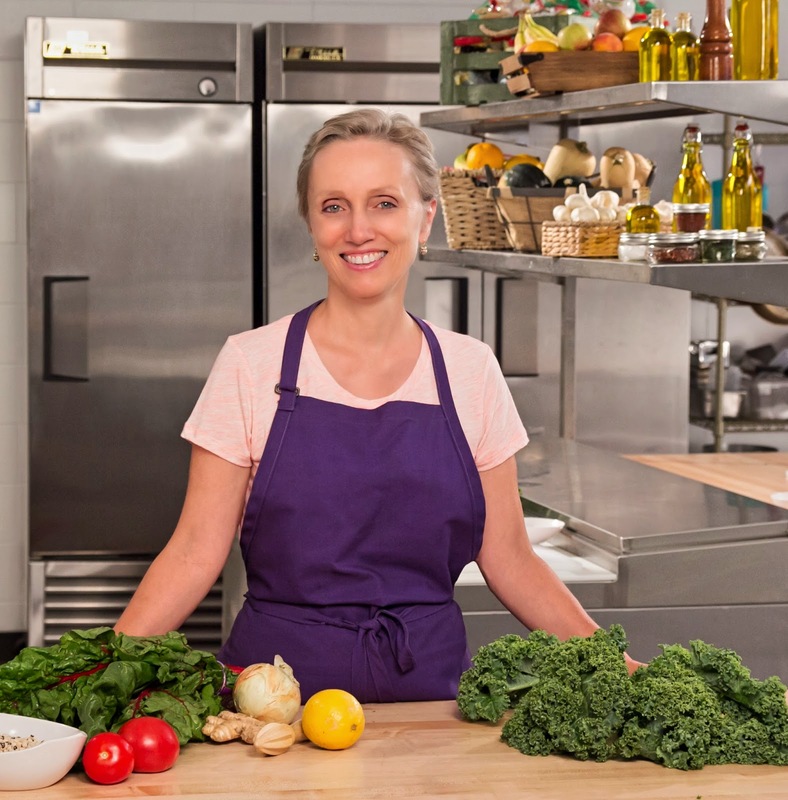 The first episode of this show with host Dorothy Mullen, who’s well known in the Princeton area for her Suppers Programs, features a guest who has had debilitating rheumatoid since the age of 16. Together, they discuss the healing powers of whole foods while making split pea and kale soup. New, 30 minute episodes will appear monthly on the local Princeton channel, and can be screened at www.princetontv.org. 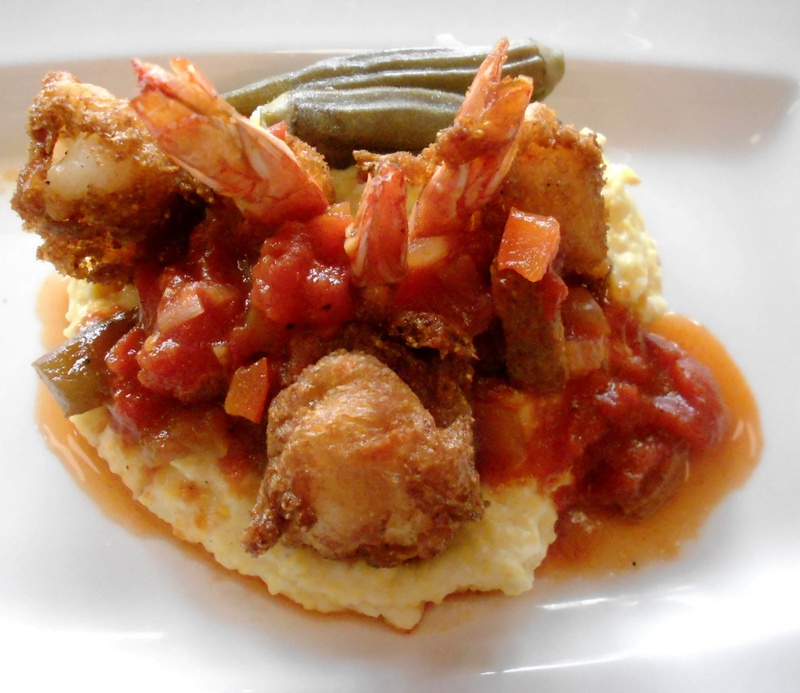 From February 22 through 28, twenty-one of Hopewell’s best eateries will offer special menus and pricing. They include established favorites – e.g., Blue Bottle, Brick Farm Market, Brothers Moon, Nomad Pizza – newbies you may have been meaning to check out (Sweet Grass, e.g. ), or oldies you’ve been meaning to check out, like Peasant Grill or Paint the Roses Tea Room (which also serves Chilean food). Check it out here. It’s a chance to stock up before the coming snowstorm on edibles from your favorite farmers and food artisans and, as I wrote in this previous post, meet some new ones. Note: a couple of the vendors I mentioned – Arturo’s and Jose Porter Farm – won’t be able to make it, but 20 others will. 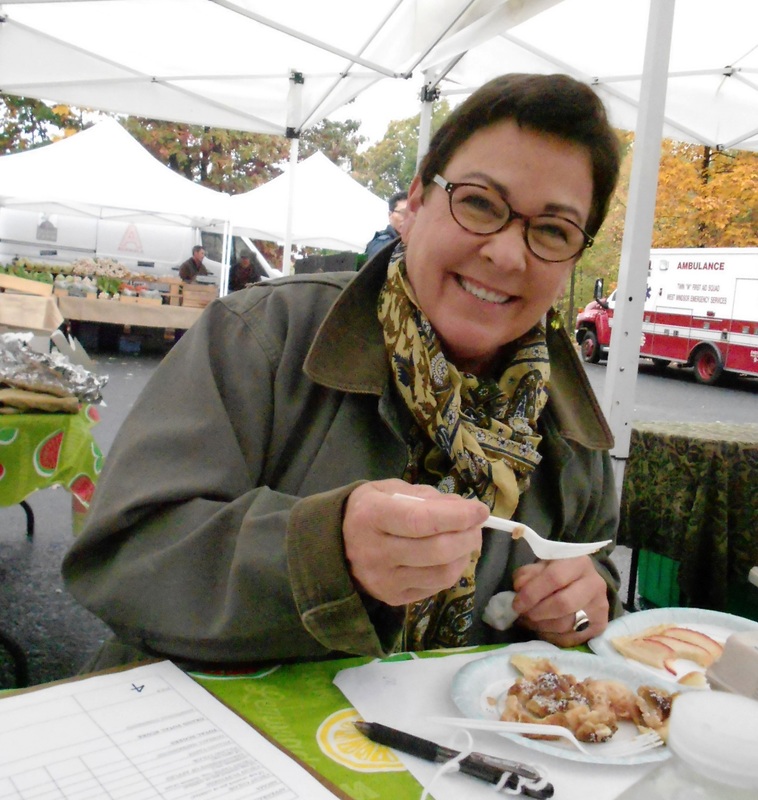 This entry was posted in Events, Favorite Finds, Interviews, Restaurants and tagged Bo Child, Dorothy Mullen, Hopewell Restaurant week, Jennifer Smit, Karen Child, Olssen's Princeton, Princeton TV, Rudie Smit, Slow Food Northern NJ winter market 2015, Suppers Programs. Bookmark the permalink.